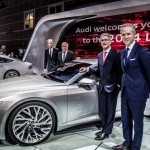 Meet the Audi R8 Competition, unveiled here at the 2014 Los Angeles Auto Show alongside the Audi Prologue, which most eyeballs were on today. 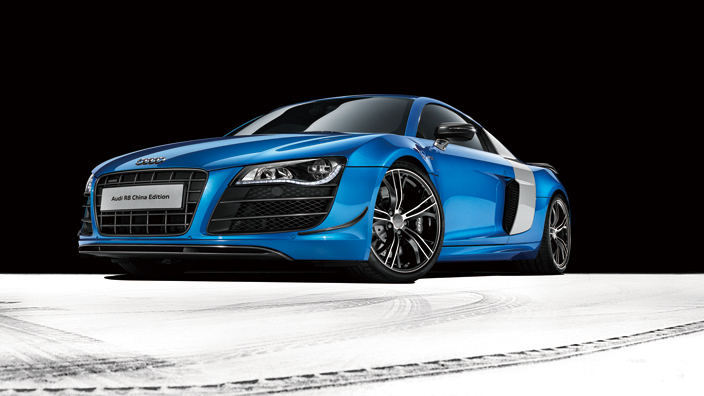 The R8 Competition bumps power up by 20 horsepower bringing the 0-60 time down to just 3.2 seconds. While the Audi R8 is considered by many to be a poser exotic, there is no denying how great it looks. 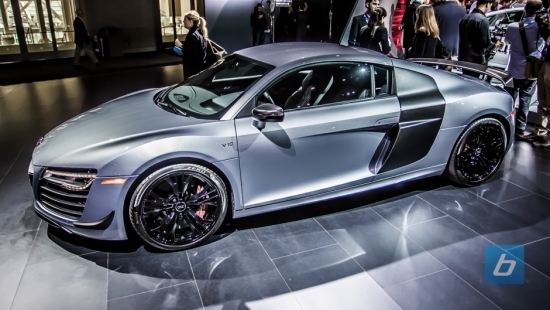 It certainly looks faster than it is, and the R8 Competition is Audi’s way of trying to back up its looks. 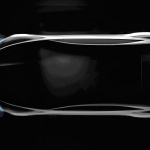 Carbon is the name of the game for the R8 Competition. Not just the carbon fiber side mirrors, lip, diffuser and matte carbon spoiler but carbon-ceramic brakes are standard fare. So, is this enough for a last horrah for the current generation R8 or has everyone already been bored to death for a few years now?